As expected, OnePlus has started teasing the launch of OnePlus 6T Thunder Purple colour variant in India and other markets. Earlier this month, OnePlus launched the Thunder Purple variant in China, and now, it started teasing the phone’s launch in the sub-continent. 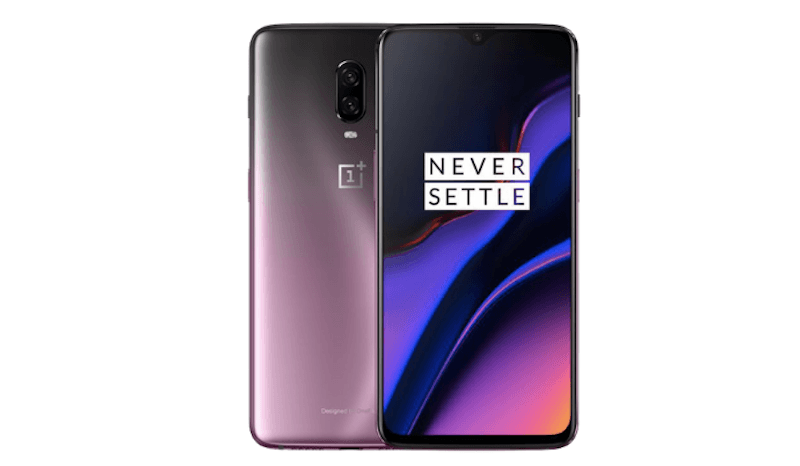 OnePlus has made a habit of launching new colour variants of its smartphones every now and then, and the same is continuing this time around too. A couple of weeks ago, OnePlus launched its latest smartphone- the OnePlus 6T in two colour options- Midnight Black and Mirror Black. Now, a third colour option of the smartphone is launching in India and we might see the company launching the phone in one more colour option. In the past, OnePlus offered the limited edition colour variants in only one variant. The same might apply to the upcoming Thunder Purple colour option too. The Chinese handset maker will likely make the Thunder Purple colour variant of the 6T available in a single variant with 8GB of RAM and 128GB of internal storage, and it could be priced at the same Rs 41,999. The 8GB+128GB model in India is retailing for Rs 41,999 in India, while the 6GB+128GB storage option is available for purchase at Rs 37,999. Besides the new paint job, OnePlus did not make any changes to the specifications of the smartphone. The OnePlus 6T Thunder Purple colour variant comes with a 6.41-inch Full HD+ Super AMOLED display on the front with Corning Gorilla Glass 6 protection. It will be powered by the Qualcomm Snapdragon 845 chipset, clubbed with 6GB/8GB of RAM and 128GB/256GB of internal storage. Once the new colour variant goes official in India, the 6T will be available in three colour options- Midnight Black, Mirror Black and Thunder Purple. OnePlus omitted the 3.5mm headphone jack from the OnePlus 6T and it even introduced new OnePlus Bullets Type-C earphones. The phone also lacks a 3.5mm headphone jack. The OnePlus 6T runs on Android 9 Pie-based OxygenOS 9.0.2 out of the box, and so far, it received two software updates. The 6T comes armed with a 3700mAh battery with fast charging support. As for the cameras, it rocks 16MP+20MP sensors on the rear side, along with a 16MP shooter on the front. OnePlus has introduced a software-based Nightscape feature which captures better low-light images. Lastly, the OnePlus 6T is available for purchase in India via Amazon and OnePlus India official website. It can also be picked up across Reliance Digital and Croma stores.